Article 1 - Definitions and Funds. § 96-1. Title and definitions. § 96-3. Division of Employment Security. § 96-4. Administration; powers and duties of the Assistant Secretary; Board of Review. § 96-4.1. Funds used in administering the unemployment compensation laws. § 96-5.1. Supplemental Employment Security Administration Fund. § 96-6.1: Repealed pursuant to the terms of G.S. 96-6.1(c), effective with respect to calendar quarters beginning on or after January 1, 2011. § 96-6.2. Unemployment Insurance Reserve Fund. Article 2 - Contributions and Payments by Employers. §§ 96-8, 96-9: Repealed by Session Laws 2013-2, s. 2(a), effective July 1, 2013. § 96-9.2. Required contributions to the Unemployment Insurance Fund. § 96-9.3. Determination of taxable wages. § 96-9.4. Determination of employer's reserve ratio. § 96-9.5. Performance of services in this State. § 96-9.6. Election to reimburse Unemployment Insurance Fund in lieu of contributions. § 96-9.7. Surtax for the Unemployment Insurance Reserve Fund. § 96-9.8. Voluntary election to pay contributions. § 96-9.9: Reserved for future codification purposes. § 96-9.10: Reserved for future codification purposes. § 96-9.11: Reserved for future codification purposes. § 96-9.12: Reserved for future codification purposes. § 96-9.13: Reserved for future codification purposes. § 96-9.14: Reserved for future codification purposes. Article 2A - Administration and Collection of Contributions. § 96-9.15. Report and payment. § 96-10.1. Compromise of liability. Article 2B - Administration of Employer Accounts. § 96-11: Repealed by Session Laws 2013-2, s. 2(a), effective July 1, 2013. § 96-11.2. Allocation of charges to base period employers. § 96-11.3. Noncharging of benefits. § 96-11.4. No relief for errors resulting from noncompliance. § 96-11.5. Contributions credited to wrong account. § 96-11.6. Interest on Unemployment Insurance Fund allocated among employers' accounts. § 96-11.7. Transfer of account to another employer. § 96-11.8. Closure of account. § 96-11.9. Termination of coverage. Article 2C - Benefits Payable for Unemployment Compensation. § 96-12: Repealed by Session Laws 2013-2, s. 2(a), effective July 1, 2013. § 96-12.01: Recodified as G.S. 96-14.14 by Session Laws 2013-2, s. 6, effective July 1, 2013. §§ 96-12.1 through 96-14: Repealed by Session Laws 2013-2, s. 2(a), effective July 1, 2013. § 96-14.2. Weekly benefit amount. § 96-14.3. Duration of benefits.  § 96-14.4: Repealed by Session Laws 2015-238, s. 2.8(a), effective July 1, 2015. § 96-14.5. Disqualification for good cause not attributable to the employer. § 96-14.6. Disqualification for misconduct. § 96-14.7. Other reasons to be disqualified from receiving benefits. § 96-14.8. Military spouse relocation and domestic violence are good causes for leaving. § 96-14.11. Disqualification for the remaining weeks of the benefit period. § 96-14.12. Limitations on company officers and spouses. § 96-14.13. Limitation on benefits due to lump sum payments. Article 2D - Administration of Benefits. § 96-15.01. Establishing a benefit year. § 96-15.3. Board of Review. § 96-18.1. Attachment and garnishment of fraudulent overpayment. § 96-40. Unemployment insurance program integrity; reporting.